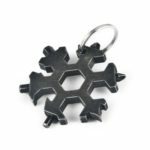 Multi-functional snowflake shaped screwdriver features in incredible 18 tools, is a perfect keychain screwdriver bottle opener and inside wrench and necessary for outdoor camping home life. Made from 420 stainless steel, exquisite workmanship and long-lasting. Perfect to attach to keychains or backpacks. 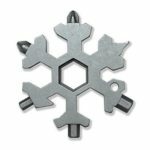 Unique snowflake design and compact size, easy to carry. Suitable for any indoor and outdoor occasions. 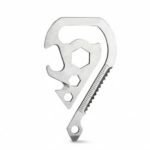 Stainless multi-tool is an ideal gift for your family or friends. 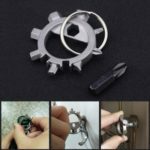 Can be used to open bottles, turn screws, repair snowboards and bicycles. 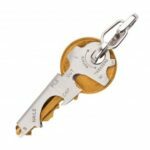 Application inside wrench, screwdriver, bottle opener, keychain and so on.